Learn more about these thousands of magnificent Mexican free-tailed bats that share the city with us! 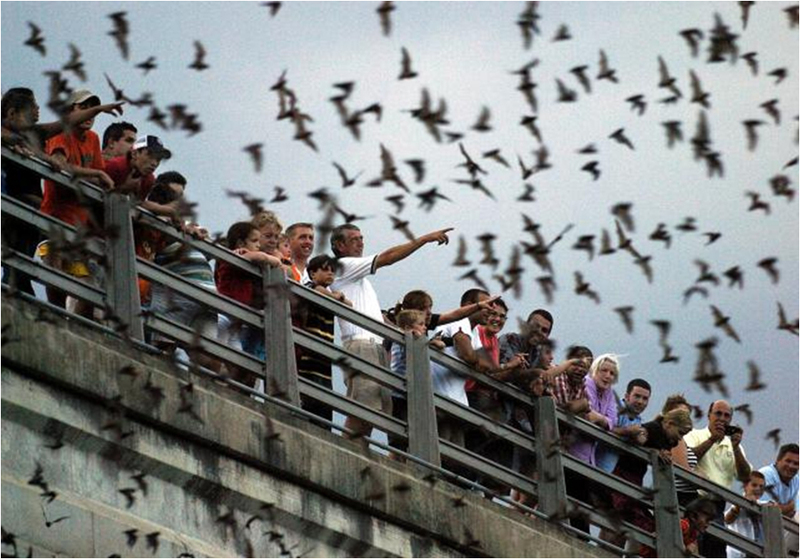 Led by a “bat girl” docent, guests will enjoy an amazing view of the bats’ dusk emergence from the Waugh Drive Bridge on Buffalo Bayou. Weather and water levels permitting. Reservations required.